Rodger Kelly has already done a great review of J’s Work masks here. I’ll start off with the F-15C 65th Aggressor “Desert Scheme” first as this is very simple and straight forward, the main thing you have to get used to is starting with the darker colours first. When not using masks most people will generally spray/paint light then dark as we go. 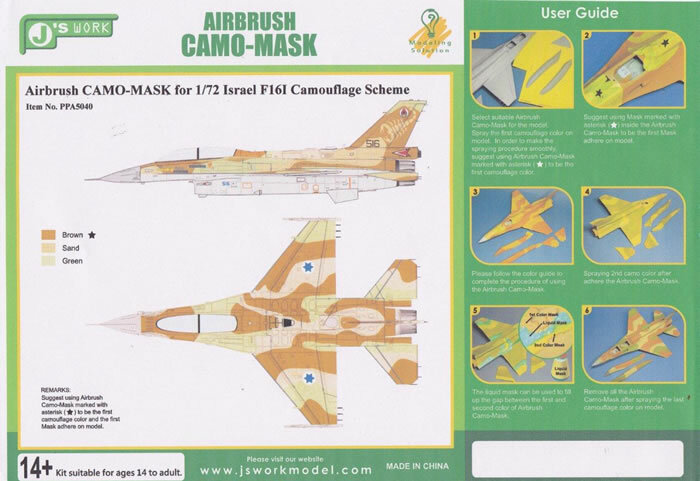 This is the opposite process for most of the two tone aircraft in the J’s Works range, in this instance you start with the dark brown, mask and then spray the sand and you are done. This aircraft has a hard demarcation between the colours so no other steps required. The other two schemes have a more feathered edge, and I must say I like Rodger’s suggestion of using fishing line to raise the edge to get a feathered edge. The F-22 masks only cover the dark paint within the panels, the guide does not cover or provide masks for doing the outer trim of the flight controls however, you should be able to do that yourself, I guess I’m just pointing out that there is an additional painting step to the F-22 not covered on the drawings. 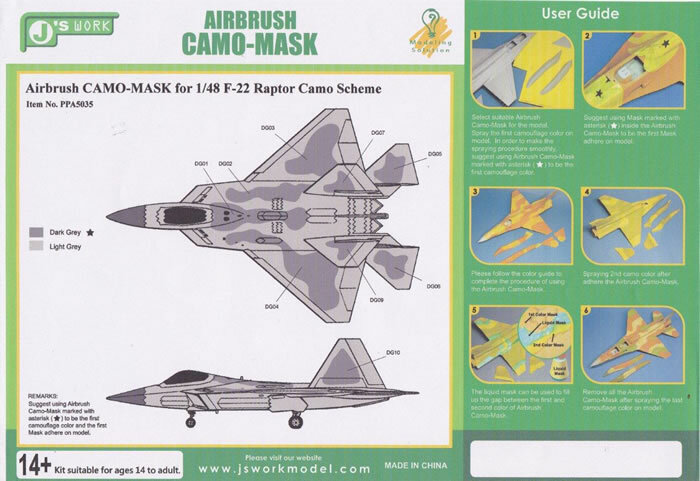 The F-15 and F-22 mask are all numbered sequentially to ensure you get the correct mask in the correct location. 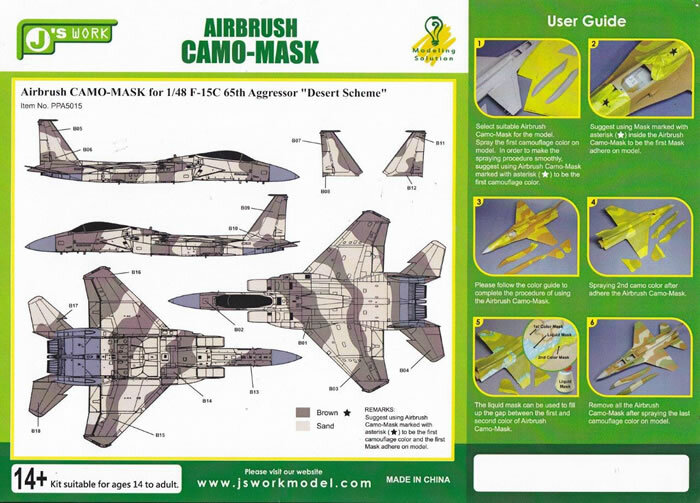 Have a look at the J’sWorks website they have some great tutorials and they step you through the F-22 masking process. I’m a big fan of pre-cut masks, I love construction and painting but I do find the hours of masking painful at times so I will highly recommend these as they speed up what can be a tedious process. Thanks to Lucky Model for the samples.